Lauren Keleher is enrolled in Electrical Engineering at CQUniversity Rockhampton while her twin is an Arts student at the University of Queensland in Brisbane. FOR many students, the first step on the path to their chosen career is leaving the family home to relocate to study. Lauren Keleher went one step further, choosing a completely different course than the one her identical twin sister is pursuing. 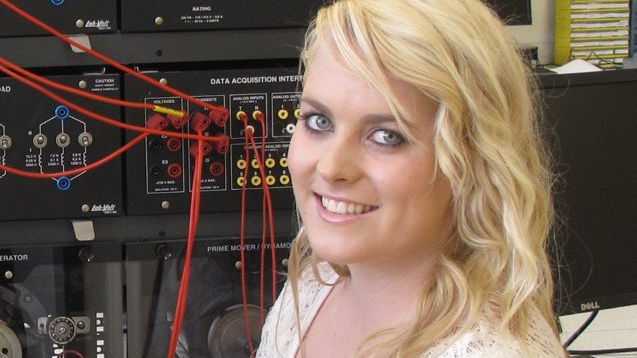 Lauren, is enrolled in Electrical Engineering at CQUniversity Rockhampton while her twin is an Arts student at the University of Queensland in Brisbane. So far the choice has been fruitful, with Lauren earning high distinctions throughout her first-year studies and is one of three CQUniversity students who have earned an Australian Power Institute bursary in 2012, based on their academic results. "A feature of our course that I really enjoy is project-based learning so we have a practical focus really early in our degree," Lauren said. "I'm appreciating the helpful lecturers and our Moodle (online) site helps in keeping in contact with them throughout the year. It's also great for finding course resources all in one place." Lauren enjoyed maths and physics while at school in Bundaberg and took part in an Engineering Link camp in Rockhampton, helping her course selection. Whenever she's not studying or living at the student residences on campus, she can be found in the gym or working part-time in a local sports store. As a bursary recipient, Lauren will receive $8000 in financial support over the next four years of her study and will have a chance to develop practical, real-world skills through paid vocational employment with API member companies. This could amount to more than $20,000 over three summer vacations. Students who enrol in CQUniversity's Bachelor of Engineering (co-op) program also have the chance for paid work placement with industry partners. Details are available via cquni.edu.au or by phoning 13CQUni (132 786). Starting in 2013, CQUniversity will offer students the opportunity to study the first year of the Bachelor of Engineering and Bachelor of Engineering (Coop) / Diploma of Professional Practice on-campus at CQUniversity Bundaberg, adding to the opportunities established at campuses in Rockhampton, Mackay and Gladstone.